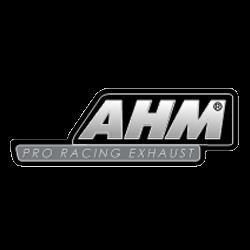 AHM Racing takes track day experience to the streets with their range of performance exhaust systems. 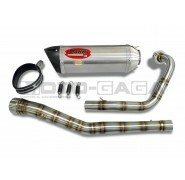 The SP is an aggressive shorty muffler version of the M3 without the silencer and no internal baffle. 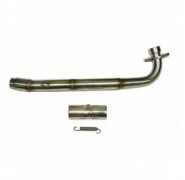 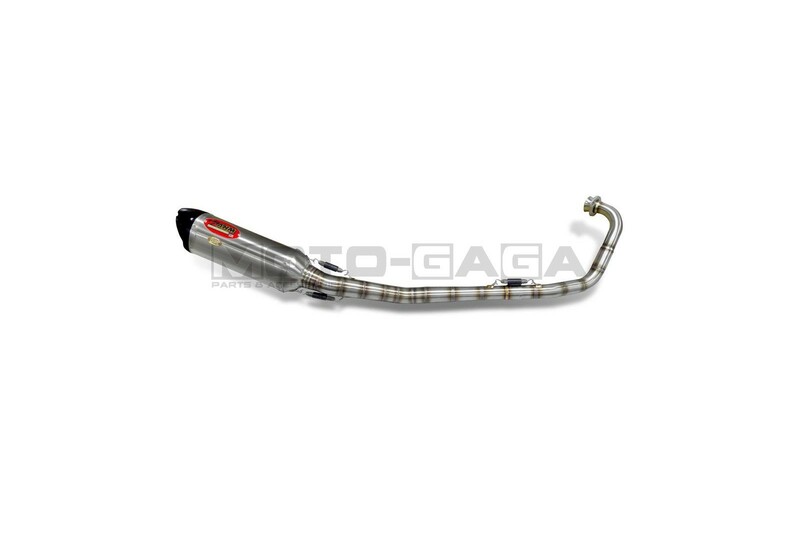 A premium build quality stainless steel exhaust system with a brushed finish. 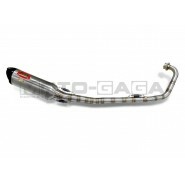 You might want to check with local sound and emission laws before getting this version. 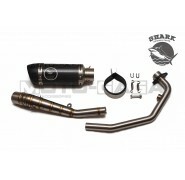 If needed, a silencer can be purchased and fitted separately. 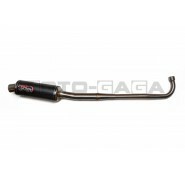 Each exhaust is crafted with beautiful individual TIG welds and mad attention to detail rivalling many Italian and Japanese exhaust brands. 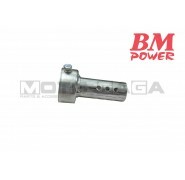 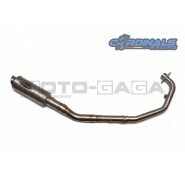 These performance exhaust pipes have very large diameter header and piping, allowing high air flow. 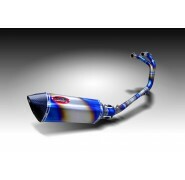 Perfect to go along with any big bore cylinder upgrades. 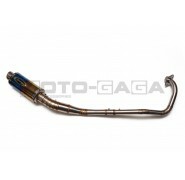 Each exhaust is crafted with beautiful individual TIG welds and mad attention to detail rivalling many Italian and Japanese exhaust brands. These performance exhaust pipes have very large diameter header and piping, allowing high air flow. 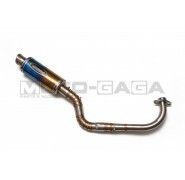 Perfect to go along with any big bore cylinder upgrades. 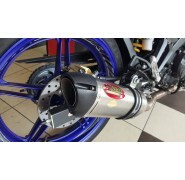 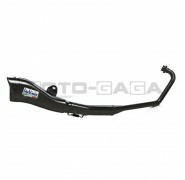 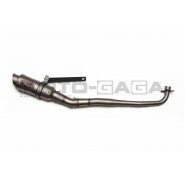 This exhaust system is made to fit the Yamaha T150 Jupiter MX/Sniper/Crypton X/Spark/Exciter. 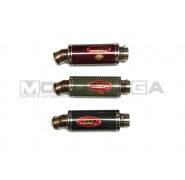 Carbon fiber end mufflers are also available separately in a few colors.